How very sad that, just two months ago, we were celebrating the fact that Pete Cheek had reached his 90th birthday, and this morning I received the news that he passed away on Monday. I am sure I speak for all of you as our thoughts are with his family at this time. As the heatwave continues, our Wednesday evening, Admirals Chase and Summer Points series continue apace. For updates on the runners, riders and fallers, check out the Results section of the website. Club stalwart, Jeremy Iles’ son, Rowan Hanson-Iles, is currently taking part as crew in this years’ Tall Ship Race from Sunderland to Esaberg (Denmark) and then up to Norway. He’s sailing on Rona II, part of the Rona Sailing Project. Rowan learnt to sail with us at CVLSC. Fun Thursday 1 on 12-Jul-18 was a lovely evening and many of you enjoyed a sail and joined in with the two races at 18:00. Thanks to Jeff Stratford and his police group for providing safety cover and Hugh Whatley for the racing – see below for details of the next one…. I can confirm that the water level in the lake is amazingly good, and it is pleasantly warm on the toes as you launch your galleon. The weed sadly seems to thrive in these conditions so stick to the middle of the lake! This is a 4 part series on BBC2 which documents the UK’s leading inventors trying to create ingenious new solutions to everyday problems and build life-changing solutions for people in desperate need. This episode features Chew’s own Ian Clements as they try to help to devise a system to help him manage his Access dinghy on the lake. Meet in the bar at 13:45 rigged & ready. Andy Price, our enthusiastic new head of all things Topper, tells me that the last session seemed to go down very well and although the wind was a little missing in the morning, it did start picking up in the afternoon. They have an impressive trophy awarded at each session to the ‘sailor of the month’ – brilliant! The current holder is Abigail Davies. This year the Wayfarer Association is celebrating its 60th Anniversary since its formation in 1958. To mark this milestone the Wayfarer sailors at Chew feel that we should also celebrate that significant event. The Police group have the second of their Thursday sailing days on the 09-Aug-18 and have invited us to come along and join them at 14:00 hours. 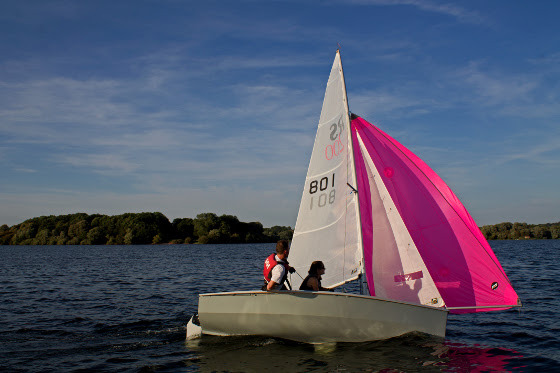 The format is that they carry out various aspect of training in the morning and then provide safety cover for any club members who would like to go along for a sail in the afternoon/evening; finalizing the evening by holding a couple of informal races, with a start time of around 18.00, followed by a BBQ. It would be nice to see as many of you Wayfarer sailors as is possible with their boats on the water from 14:00 hours onwards. This is not just limited to Wayfarer sailors – all members are invited to attend. However, be advised that there will be no Galley so bring along something to eat or put on the BBQ. Oh and, yes, the bar will be open from around 17:00 hrs. The Sailing Committee have planned (and are VERY excited about) this new day in the calendar intended to encourage our racing fraternity to rock up with their families/friends/acquaintances, as well as the cruising sailors, for a day of on-the-water fun with a slight competitive edge. Thus far the plan is for a briefing at 11:00 ish and things to start at 11:30 (you all get a lie in!). Hugh Whatley is organising a cryptic clue type treasure hunt starting roughly at 11.30 with clues floating beneath racing marks to make up a word (bring your dictionaries). This may be ongoing all day. There will be Topper team racing starting at 13:30 organised by our PRO, Keith Harris. Running concurrently Helen is planning a ‘Beat the Stig’ timed run in Toppers or Oppys, a ‘Build a model boat from recycled stuff’ challenge, (it then has to race a measured distance), and there are various other ideas being considered, including a Malteser challenge and Optimist Rugby…. Finally, we are hoping there will be an opportunity for people to try sailing a different boat to be organised by our team of fleet captains. Please, try and come along to help make this break from the routine of points series a success. Where teams are needed they can be made up on the day, or families and friends can team up beforehand. THERE WILL BE A GRAND PRIZEGIVING AT THE END!! There will be three separate groups across the Saturday & Sunday (25th & 26th) and a Youth Regatta on the Bank Holiday Monday should mean there’s a session available for all ages (8 to 18) and all abilities (beginner to national squad sailor). The Monday (27th) Youth Regatta will have both a main fleet and a regatta fleet option. More details for each group below.